Travelling from Adelaide along the Freeway take the exit for Hahndorf and follow the road as this is the Main Street. We are located closer to the other end of the town on the right-hand side of the road behind The Hahndorf Inn Hotel. Travelling from Murray Bridge along the Freeway take the exit for Mount Barker and follow the signs to Hahndorf. The town of Hahndorf begins just as you pass the Beerenberg Strawberry Farm, and we are located on the left-hand side of the road behind the Hahndorf inn Hotel. The Hahndorf Motor Lodge is an affordable alternative for quality accommodation in the main street of historic Hahndorf. 31/2 star accommodation, only 20 minutes for Adelaide and within walking distance of Hahndorf's main street attractions and restaurants. 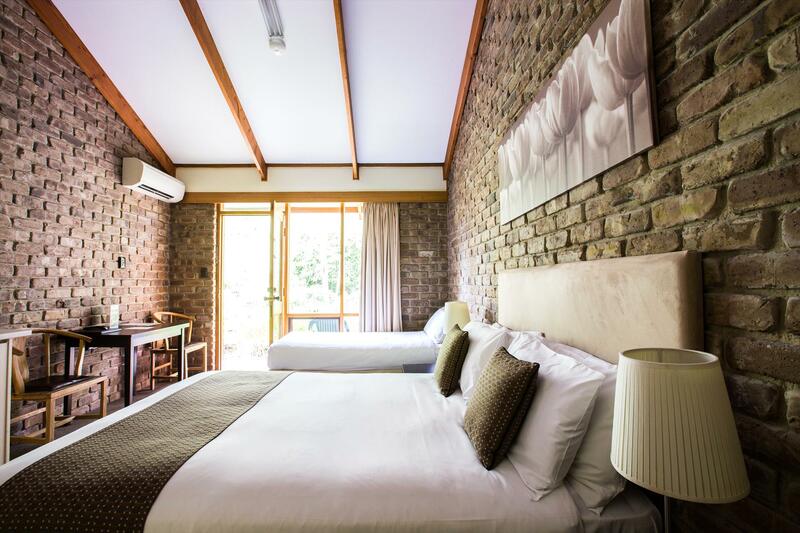 A stay at Hahndorf opens up endless possibilities. The Manna of Hahndorf, the Hahndorf Motor Lodge, and The Haus Studio Apartments are situated in historic Hahndorf in the very heart of our beautiful Adelaide Hills. This magnificent region has a lot to offer and is within easy reach, and we would take great pride and delight in helping you experience it. The Hahndorf Inn Motor Lodge offers: Fully Refurbished in 2009 Stylish double, twin & family rooms suited to the budget traveller Poolside & Spa rooms available for a romantic getaway Year-round heated Indoor swimming pool and spa Peaceful, leafy garden surrounds Wireless Broadband Internet Complimentary Foxtel Please note rooms are serviced everyday, and full linen changes after 3 nights. Enjoy a night in our Poolside Room with breakfast at The Haus cafe+bar+kitchen which you will have a $30 voucher to choose anything you want off the menu! With the pool on your door-step these rooms are spacious and modern offering you a relaxing stay whether you sit on edge of the pool or in the garden terrace outside your back door. Strictly no children. FREE Wi-Fi!! With the pool on your door-step these rooms are spacious and modern offering you a relaxing stay whether you sit on edge of the pool or in the garden terrace outside your back door. Strictly no children. Enjoy a night in our Standard Room with breakfast at The Haus cafe+bar+kitchen. Sample fresh local produce off the Ala-Carte menu to the value of $30!! 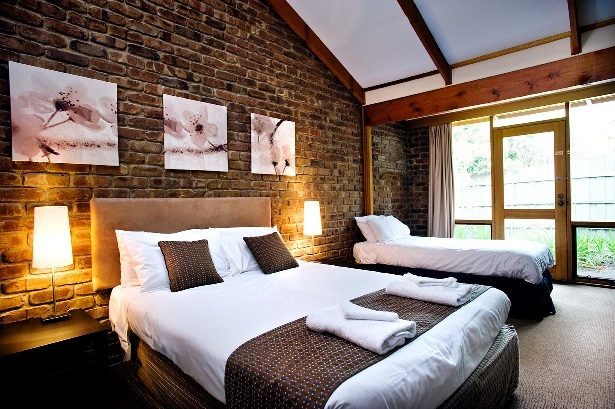 Our Standard Rooms are of a classic style with a modern finish that will not disappoint. Great for any stay they offer you high quality at a great price. They contain a kitchenette, flat-screen TV with selected complimentary Foxtel channels and FREE Wi-Fi. Cancellation to be received 3 days prior to arrival to be eligible for a full refund. If less than this time is given then deposits are retained.